V. E./Victoria Schwab is my FAVORITE new-to-me author of the year. I just love Shades of Magic, and I’ve had This Savage Song staring at me since I went to the Southern Festival of Books and got it signed. Someday soon…. Isn’t she incredible?!! I am dying to read the Shades of Magic finale!!! Must know where Kell comes from, the truth about why Lila’s missing an eye, oh, just everything. This Savage Song is further evidence of Schwabs great, dark imagination. That’s so cool that you got to meet her and have it signed!! There are SO many things to learn for Shades of Magic! I seriously suspect Lilah is Antari, too. At least this is what I hope…among many other things. hahaha oh my god- you just quoted Young Frankenstein- I LOVE THAT MOVIE!!!! 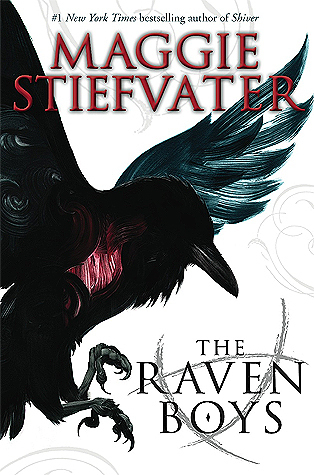 Stiefvater totally, legitimately blew my mind with that plot twist. Oh, yes, I’m Team Schwab all the way. You’re gonna love it. Speaking of other Stiefvater books, The Scorpio Races is coming up really soon on my TBR. Have you read that one? Really? I’m even more excited to read it now. Must check out your review! A Gathering of Shadows has jumped straight to the top of my reading list – I have to get myself a copy. I don’t know how I’ve managed to go this long without reading it?! * Correction: I meant a Darker Shade of Magic – I haven’t started the series yet, but can’t wait to!